After winter break, I started a knitting club at the high school during lunch. Some of my students laughed at me, some said (patronizingly), “Oh! That’s soooo cute”, and exactly one person came to me with any interest. That’s ok…great things often start small, right? Anyway, I will call her Knitter Zero (because we are about to have an outbreak of knitting!!) until I get her permission, as well as her mom’s, to use her first name. KZ arrived with all of her grandma’s knitting needles. How exciting! My grandma gave me all of her old needles, too. Since I have only been knitting for a year, I wondered, briefly, as she walked in the door, if I even knew how to teach her to knit (little late, I suppose). We started with a slip knot (for some reason, it took me forever to figure out a slipknot…I know…silly) and a very basic cast on–just the thumb loop one. I taught her how to do the knit stitch, and instructed her to practice that over the weekend. I was in the process of finishing a Sashay Scarf, and she liked that, so I told her I would teach her how to make one the following week if she brought in some ribbon yarn. When she came back next week, she showed me her stitches, and then showed me her own finished Sashay Scarf. I think someone has caught the knitting bug! And isn’t YouTube fantastic? You can learn pretty much anything…it is how I taught myself how to knit, and KZ used it to teach herself how to make the scarf. Anyhow, since then, KZ has made good progress on a garter stitch scarf. Her first attempt made a scarf wider than she wanted, and I think I convinced her that as awesome as her work was, she would be happier if she frogged it and made it the way she wanted to (and probably, even with the redo, she would be knitting many fewer stitches overall). Next she made a hat for her mom using this pattern, already working in the round, and only coming to me once in a panic…she had changed colors and accidentally started knitting with the tail from a different row (we’ve all done that, right?). I helped her navigate to safer waters, and it turned out very nicely. I’m ridiculously proud of her. I can’t wait to see what she chooses for her next project. Last week (week 4 of the Knitting Club), a new member joined! I taught Tiffany (I have the proper permissions to use her name) the same way as I taught KZ and she says I will be impressed with her work on Friday. This week I will teach her to purl, and hopefully she will bring her first project idea with her. I told both girls to sign up for Ravelry…hands down, the best place to find patterns. 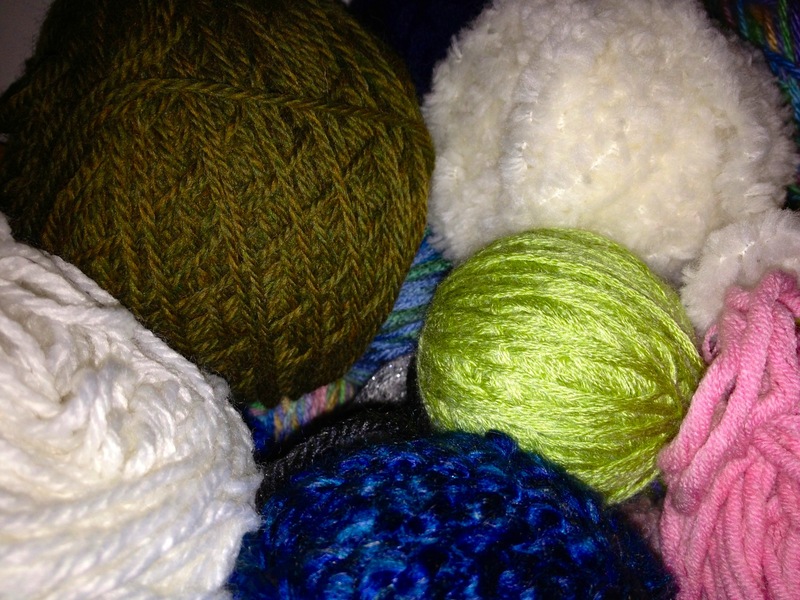 I am knitting with the girls…still finishing Christmas presents (STILL!) But yesterday, one of my students sweetly asked if I would make him a hat. I told him to pick a pattern and he chose this one. Now he just needs to tell me what color. I am genuinely excited about The Knitting Club. We may only have three members, but it is a solid foundation and soon all high school students will flock (you know, like sheep…sheep with wool…like we knit with? Ha!) to the club. They will discover the great pleasure that comes from creating something from a ball of yarn. Seriously, I have some ideas I’d like to see realized, such as knitting beanies for soldiers and snuggly caps for chemotherapy patients. What do you think? Can we make knitting a “Thing” at the high school? Do you have any ideas for my fledgling club? By the way, I went a little parentheses-crazy…sorry about that! This entry was posted in Knitting Obsessed, Teaching and tagged high school knitting club, knitting, Ravelry, sashay scarf, scarf. Bookmark the permalink. Love it! Maybe you could pick a pattern as a group and all work on the same project together? That was what I was thinking…everyone makes a rolled edge chemo cap, and we send a bunch over to the hospital, or some such thing.